American McGee’s Alice is a huge cult favorite among gamers and many have been clamoring for a follow up. 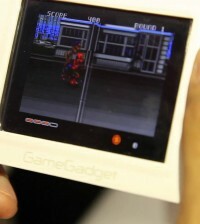 Well at Tokyo Game Show 2010, we got a nice taste of a dream come true. Along with a teaser trailer for Alice Madness Returns, EA has given us a collection of screenshots and concept to drool over. Grab your hankie and check em out below!